Sink your teeth into stacks of cloud-like and totally Instagram-worthy pancakes from these Japanese cafes. Another Instagram food craze has struck again. Diners across Asia have been posting Boomerang videos of wobbly piles of pancakes that are slathered with cream and fruit on social media. Unlike pancakes from mostly Western eateries, which are typically flat and simply served with maple syrup and jam. Their fluffier Japanese cousins are causing quite a stir with their cloud-like texture, which is reminiscent of a souffle, and their height. A stack of just three pancake can be as tall as 15cm. These pancakes are made with Japanese flour that is known for turning out “softer” pastries. To help attain the height and fluffiness, some have whipped egg whites stirred into the batter. We make a beeline for Japanese-style pancakes at four cafes here. At Tokyo pancake cafe Riz Labo Kitchen, which opened in Japan to much fanfare in 2016, diners tend to coo “kawaii” when the pancakes are served. It is known for its gluten-free fluffy souffle pancakes that are prettily dressed up with fruit, fresh whipped cream, maple syrup and more. Riz means rice in French, which is a reference to the gluten-free rice flour that is a key ingredient in the pancake batter that includes brown sugar from Kagoshima, organic soy milk, rice oil and egg whites. A fraction of the original Omotesando cafe’s menu has been imported here. They include the matcha pancake that is sprinkled with matcha powder and topped with scoops of Hokkaido cream and azuki red beans, and strawberries and cream pancakes. If you get a kick from stacking blocks in a game of Jenga, the pancakes from Belle-Ville Pancake Cafe are right up your alley. Expect towering stacks of pancakes that are made from a batter that includes hand-whipped egg whites, Hokkaido milk and Japanese flour. The name of this Osaka-based pancake shop sounds like millefeuille, which is a multi-layered French pastry. Each indulgent stack comprises four or eight pieces of chubby pancakes that are layered with fresh cream and fruit, and has syrups or sauces trickling down in dramatic fashion. Items that sell like hotcakes include matcha pancakes with shiratama mochi, azuki red beans and black honey, and banana pancakes with lightly torched bananas and chocolate sauce. 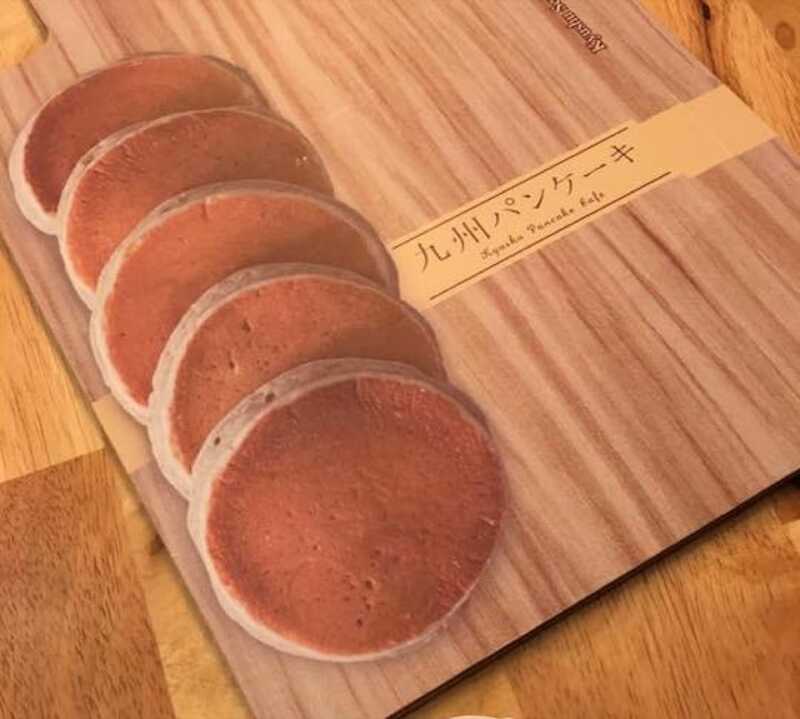 Those who do not have a sweet tooth can sink their teeth in Kyushu Pancake Cafe’s grain-based pancakes that boast more bite. The pancakes come in a slightly darker hue and are made from the cafe’s proprietary pancake mix. Seven types of grains go into the mix, including wheat flour, sprouted brown rice, millet, pressed barley, purple and black glutinous rice and white rice — one from each of the seven prefectures in Kyushu. The Japanese cafe recently brought in ingredients such as anno imo (or honey-sweet potatoes in Japanese) and milk ice cream, both air-flown from Miyazaki. One of the early birds o the Japanese pancakes scene is this Japanese-Western cafe-restaurant, which is known for its pillowy souffle pancakes. The thick, disc-like pancakes are topped with an assortment of ingredients such as chestnut cream, matcha, and maple syrup and ice cream. The pancakes at Hoshino Coffee are such a hit among diners that the chain has introduced a Jumbo Birthday Pancake —- a gigantic three-tiered pancake that is as big as a regular cake, adorned with strawberries and blueberries, ice cream and powdered sugar glaze.